Shehzad Daredia is CEO of Bop.fm, a music tech startup with a music player that allows one to share music while giving the listener the ability to listen on the music streaming service of their choice. Daredia and cofounder Stefan Gomez (CTO) successfully built Bop.fm on a journey that has taken them through Y Combinator and on to receive $2 million in funding and media partnerships with such companies as Billboard and Twitter. I recently spoke with Daredia about his learning process from student days at the University of Pennsylvania, where he began his education in entrepreneurship in earnest, to the present, where he has experienced investors to whom he can turn for advice. It’s the first of a series of interviews I’m conducting focused on how startup CEOs learn to do what they do in an often chaotic environment absent the long grooming period of established corporate CEOs. When Bop.fm launched out of beta in late 2013 their music player already showed great promise with the ability to stream songs from YouTube, SoundCloud, Rdio and Spotify. 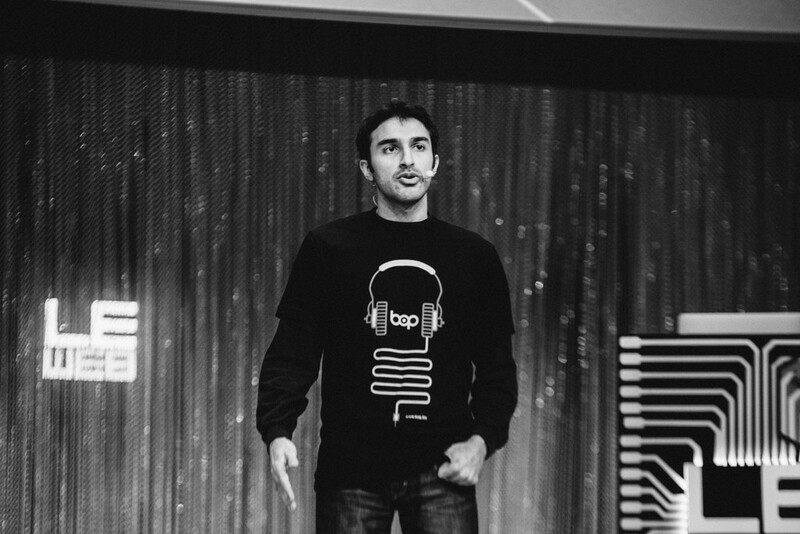 Bop.fm went on to receive $2 million in funding by 2014. They also grew rapidly gaining not only new music listeners but also building relationships with a wide range of musicians, including verified artist pages from artists like Tiësto, Lil Wayne, Snoop Dogg, and Paul McCartney, and with additional music services such as Pandora, Xbox Music, Rhapsody, and Napster. Though plenty of challenges lie ahead, this stage of development seems a good one for Daredia to look back and reflect on how he learned to do what he does as Bop.fm CEO. More than once he shared his mixed feelings about titles and labels like CEO and entrepreneur, due to the rising tide of hype associated with such terms, and revealed that he is prepared to give up the role of CEO if that’s what Bop.fm or any future company he helms requires. Daredia confirmed that, for him, the bigger picture is about building a successful company that can have significant impact. What Would Dalton Caldwell Think? As Shehzad Daredia noted, he “highly recommends” taking such an incremental path while acknowledging that “it’s not for everyone.” He also pointed out that he still made plenty of mistakes and had much to learn after launching Bop.fm with Stefan Gomez. Clyde Smith is a freelance writer and web publisher with a doctorate in Cultural Studies from The Ohio State University. He began building websites and creating content in 2000 eventually launching ProHipHop, the first hip hop trade blog, in 2005. From 2011 to 2014 Clyde wrote about music tech and the DIY music biz at Hypebot. He is currently planning a relaunch of DanceLand. Be in touch via twitter.com/fluxresearch or fluxresearch.com. Clyde F. Smith can be found @fluxresearch or at fluxresearch.com.